Sgt. 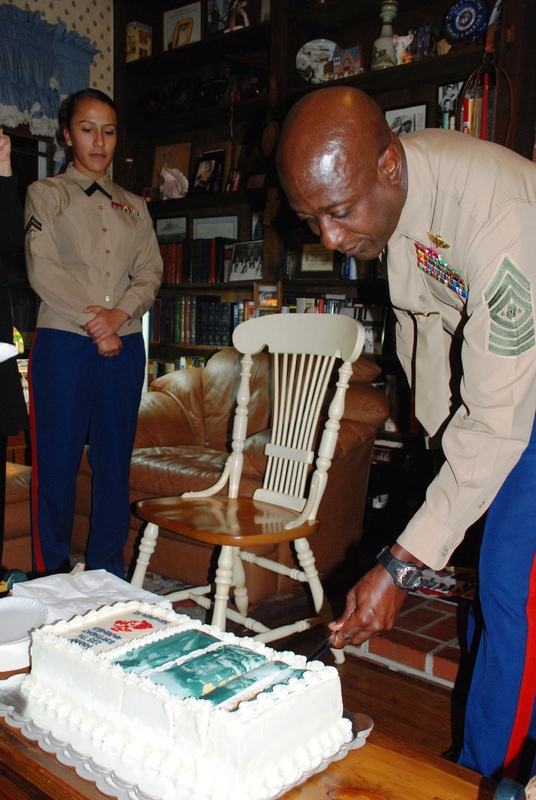 Maj. Carlton Kent, the Marine Corps top enlisted adviser, cuts a piece of birthday cake in the home of retired Sgt. Maj. Henry Black.